It Feels Like Home. like new without the wait! This 4/2.5 single floor plan is perfectly located in the Riverview Meadows subdivision right off of HWY301 (South of Symmes Rd). 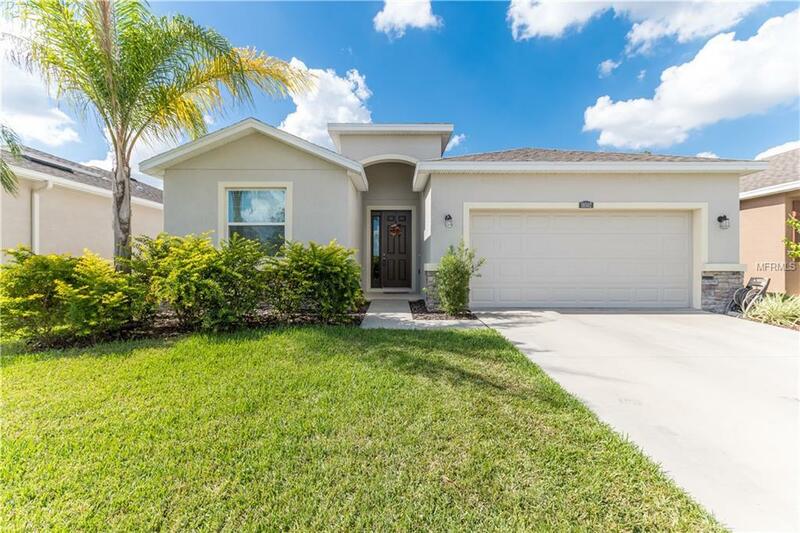 You will love this home as you walk into the spacious entry and open floor plan. Your view is unobstructed to sliding glass doors, screened lanai, and private fenced-in back yard. The dining room, kitchen, and great room is filled with an abundance of natural light and open concept floor plan. The kitchen has granite counter tops and stainless steel appliances with a large center island and an abundance of cabinet and pantry space. The Master Retreat has dual sink vanities, soaking tub, separate shower, along with TWO walk-in closets! A large screened/covered lanai allows you a perfect place to relax or entertain guest as it flows into your private fenced backyard.. AND NO CDD!